Have you been dieting your entire life? Do you feel like you’re always on some new program or food routine? Everyone around you is dieting, so you should probably be on a diet too, right? Wrong? I hate to break it to you, but diets are not the way to go. I know there is so much pressure to diet in today’s society, but I promise you there are better ways be live a healthy life where you able to truly enjoy food and not see it as the enemy. 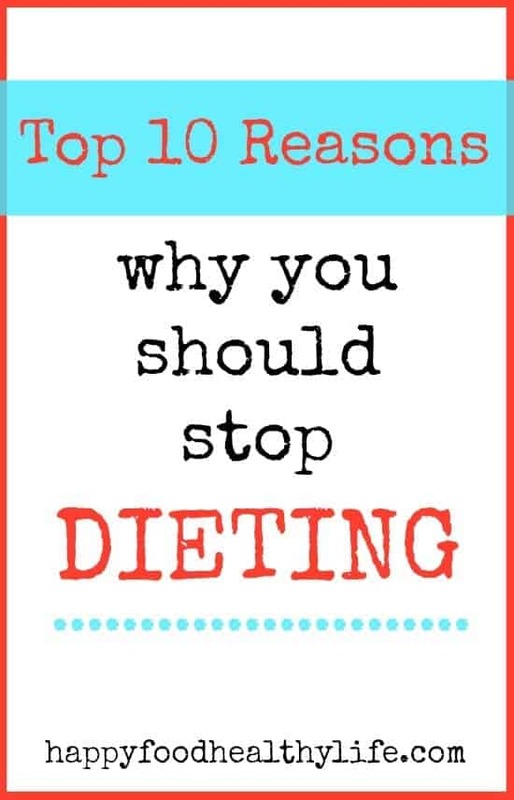 I’d love to run through the reasons why I think you should throw your diet out the window. 1. 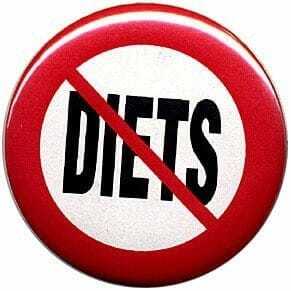 Diets are unrealistic to maintain for life. Think about it. Do you really want to count calories and weigh your food portions out every day for the rest of your life? For one, I think it’s really annoying, and I would just get really burnt out over time. This is why so many people don’t succeed at diets. 2. Most likely, when you end your diet, you will gain the weight back. Maintaining weight loss is very difficult if you’ve been on a strict diet for a significant amount of time. 3. You deprive yourself and set yourself up for binging. I don’t know about you, but if I cut certain things out of my diet, such as “bad foods”, all I can think about are those specific foods. One day, I would just snap and eat as much of that food as I could, thus, counteracting much of the progress I had made in my diet. All in all, dieting is highly inconvenient. It’s not easy to go out to eat with your friends when you’re dieting. You have to buy specific foods. It’s usually very rigid without a whole lot of leeway. No one really wants to live their lives that way. 5. Diets can be expensive. Because of the specific foods you have to buy, it can really all add up quickly. Much of the time, especially if it’s a celebrity-endorsed diet, there will be some sort of specific product you have to buy, in order to “see the full effects”. A powder, a drink, pills, certain meal plans. All of these things are expensive. 6. The mood swings you experience due to stress and deprivation caused by your diet. When I was depriving myself from the foods I really wanted and had a restricted calorie intake, my mood was all over the place. My poor family for having to put up with my ever changing moods. One minute I was happy, and the next I was a crying mess just cause I couldn’t take it anymore. 7. Dieting takes the enjoyment out of food. Why were cookies, cakes, and brownies invented? To torture us? To make us feel guilty every time we eat them? No! To enjoy them! If you’re dieting and happen to indulge in a treat every so often, you get that nagging thought in the back of your mind that you shouldn’t be eating them. Where’s the fun in that? When I decide I want a treat, I don’t want anyone else telling me otherwise! 8. Too much focus on weight loss and calorie counting. And not enough focus on body acceptance and internal happiness. I think that dieters seem to forget that it’s not all about what’s on the scale and how much goes in. Life is all about happiness and doing what makes you feel happy! 9. Your family doesn’t necessarily want to go on a diet with you. When you diet, I’m sure much of the dinners you make are diet-friendly. Does your four year-old really want to eat salads for dinner? Sure, I believe healthy eating and healthy habits start at a young age, but teaching them about dieting only sets the stage for a life-long dieting issue for them as well. 10. Cake, ice cream, and potato chips aren’t usually included on any diet plan I’ve seen. Above all else, this is a great reason not to diet! There are some delicious foods out there, and I want to be able to enjoy them in my life. I don’t want to go on wishing I could indulge just once. Or just dreaming about eating all those good foods my spouse or co-worker is eating. That’s just torture. All of this said, I’m not telling you that you will be happy eating 3000 calories of pasta and donuts every day. What I’m saying is that you don’t need to have your daily intake mapped out for you in such a rigid way. Life is just too short not to enjoy life’s little pleasures, and in my opinion, food is one of those pleasures that has been created for us to enjoy! Do everything in moderation. You will find that once you allow yourself to eat whatever foods you want, the desire to eat donuts by the dozen just isn’t there anymore. Sure, here and there, you’ll want a donut, but that’s no big deal. Do you diet or restrict foods? What holds you back from not dieting? Thank you Jennie! I’m really glad you have found value in my site and also to hear that we’re like-minded. You are right – dieting is no good! If only more people could understand it, but in a dieting-society we’re in where everyone’s looking for a quick fix, it’s hard to get people to look the other way and see that there is another way. A good point of view. Moderation is the key!! My in laws don’t bother diet and they seem healthy an happy, in good shape as well. I’m so glad you agree Meghan! I totally agree! Just like we need a work/home life balance, we also need a healthy food/not-so-good-for-you food balance! If I tell myself I can’t have something, I go nuts thinking about it. If I tell myself I can indulge once in a while, I enjoy it more and am less likely to pig-out on it. I don’t diet, although I have in the past. I just try to eat healthy as much as possible and leave most processed foods out of our house. I love a good piece of chocolate! Great article and reasons not to diet. Holly, so often your tips seem like the thoughts i occassionally have, but they’re certainly not written out in one comprehensible, simple, understandable post. I appreciate that you take the time to start writing from the basics of defining a truly long, healthy lifestyle. You have inspired me, and I have been changing my ways over the past several months because of the encouraging posts you write all of the time. I’m also seeing the improvements in my overall emotional, physical, & mental health. There’s no fluff and stuff to what you say. Everything is deep, meaningful, and simple to understand. Thanks for keeping it simple for a young woman who can overcomplicate things to a degree. Keep on keeping on. You’re awesome. Victoria thank you. Honestly, your comments are so inspiring and uplifting to me, and I can’t tell you how much I appreciate them. You are right about the no-fluff. Living a happy and healthy life can actually be very cut and dry. You either do it or you don’t, and it is completely up to you which direction you choose. Thanks for being awesome! Keep on doing what you’re doing!